To celebrate Roald Dahl Day, we’re giving you the chance to win a copy of My Golden Ticket! 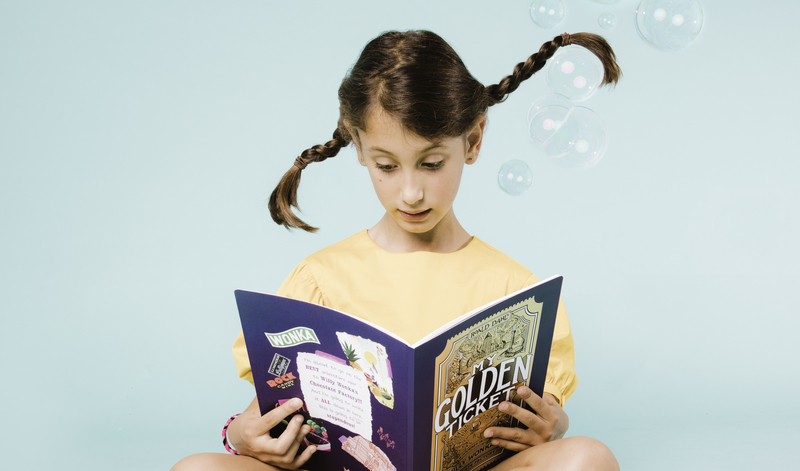 My Golden Ticket is the latest personalised book from Wonderbly that takes any child to Willy Wonka’s chocolate factory! Bespoke to your child, they will marvel as their name features throughout the book as a Wonka Bar, in an Oompa Loompa song, and much more! Watch the video below to enjoy a preview of the book…! My favourite Roald Dahl book has got to be The Twits…..so funny and silly lol! THE TWITS, SO FUNNY ! My favourite was George’s Marvellous Medicine. I used to make lots of potions in my bedroom. My son loves Willy Wonka. My favourite book for adults is ‘My Uncle Oswald’, favourite short story collection is ‘Kiss kiss’ and favourite children’s book is The Witches. He was such a versatile story teller with an incredible imagination. Certainly captured my heart as a child. Mine would have to be Matilda! George’s Marvelous Medicine is my all time favourite. My favourite Roald Dahl book as a child was Danny the Champion of the World. Mine is The BFG, my youngest said that The Witches is the best.